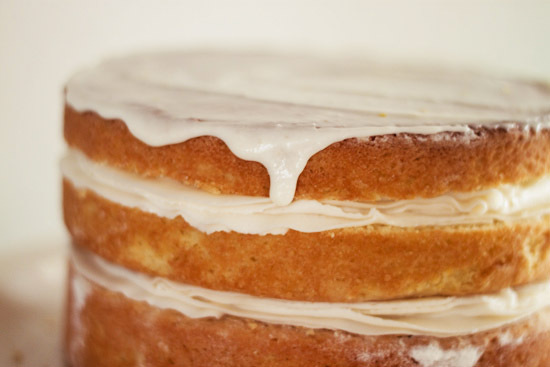 I used this lemon glaze frosting recipe for my Lemon Raspberry Cake! Click below for the recipe and tutorial! 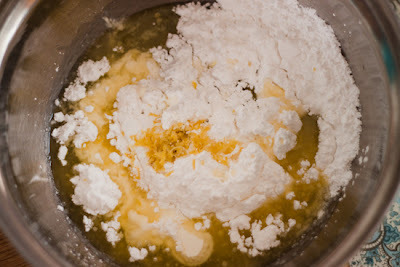 In large bowl, cream shortening and butter with electric mixer until light and fluffy. Add lemon juice and zest; beat well. Gradually add sugar, one cup at a time, beating well on medium speed. Scrape sides and bottom of bowl often. 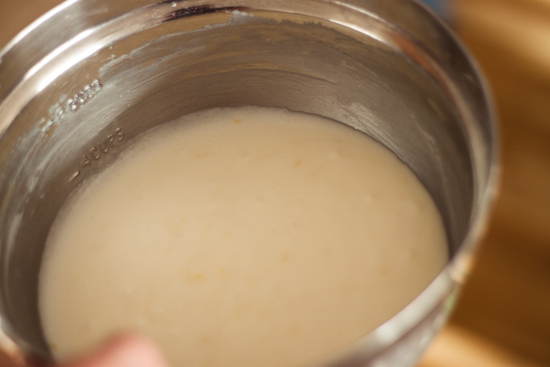 When all sugar has been mixed in, if icing is dry, add additional juice or milk and beat at medium speed until light and fluffy. Step 1. In a large bowl combine all ingredients except 1-3/4 cups of the powdered sugar. Step 2. Add the rest of the powered sugar. Let the frosting sit for a bit until it thickens. 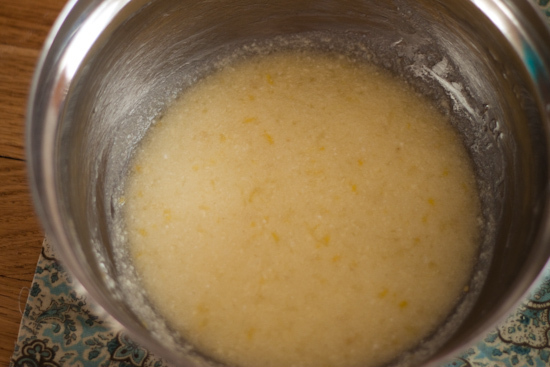 (The melted butter will start to solidify, making the icing a little thicker). Part III. Click HERE to learn how to properly build a 3 tier round cake. Part IV. Click HERE to learn how to frost your cake using the "Ruffle Technique." When a man keeps beating me to the draw mentally, he begins to get glamorous. See the link below for more info. 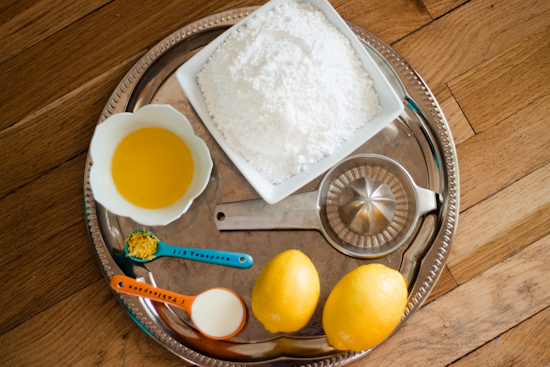 Hello, I am a begginer baker and just wanted to clarify some of the ingredients listed for the lemon glaze. Does the recipe ask for three and a half cups of powdered sugar or a cup and a half? I'm not sure if the dash means "and". Also, is it sour cream or heavy cream that the recipe is calling for? Thank you in advance for your help!